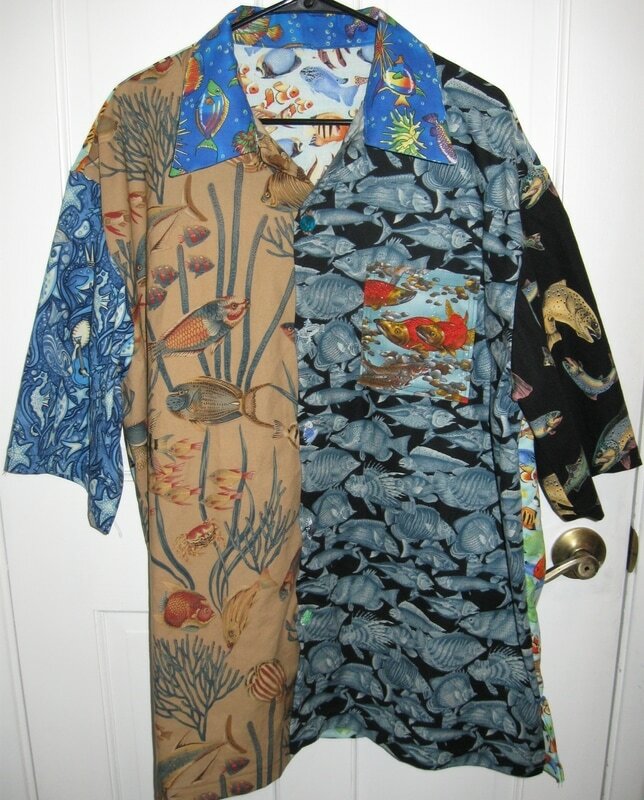 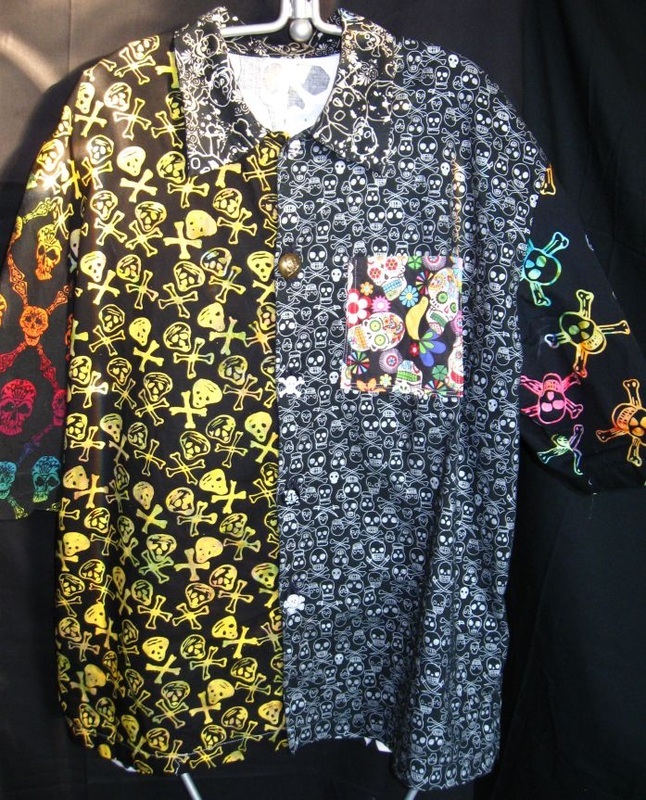 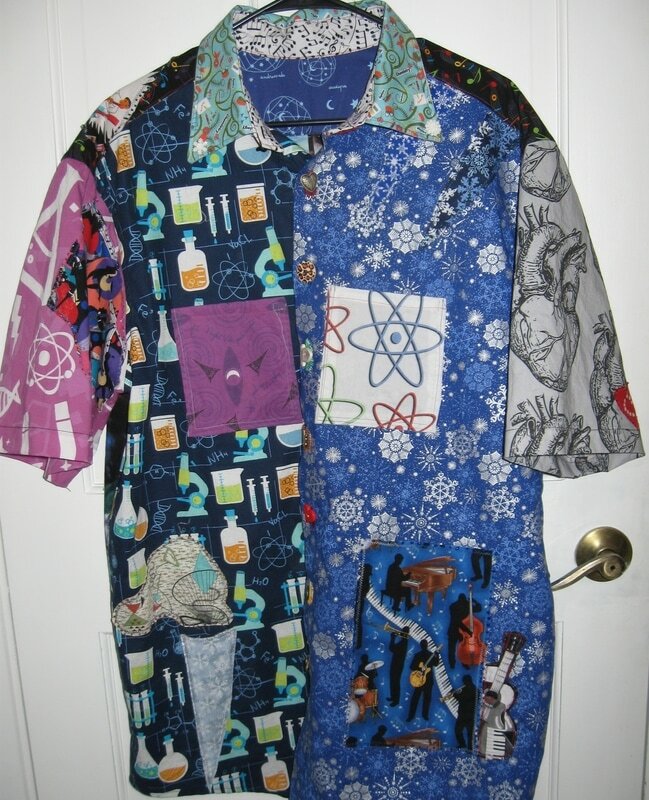 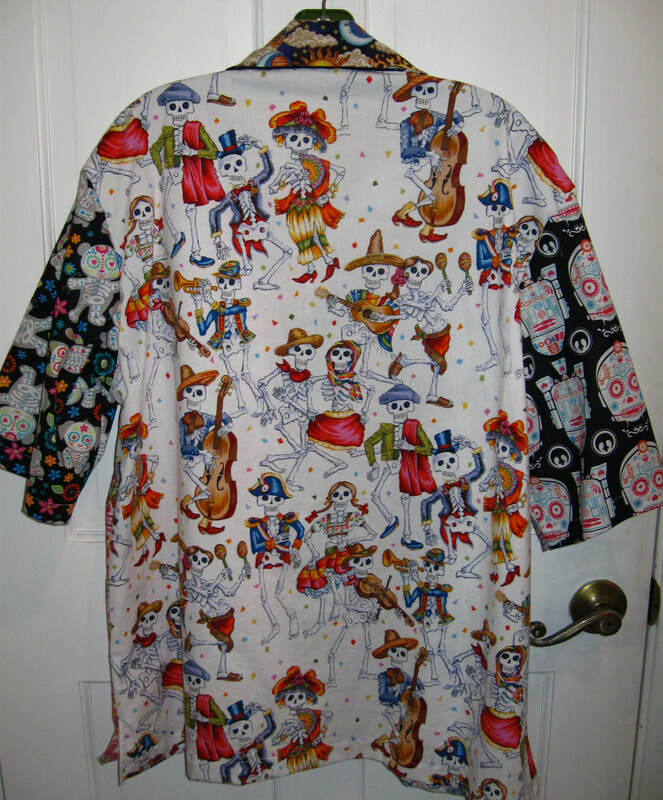 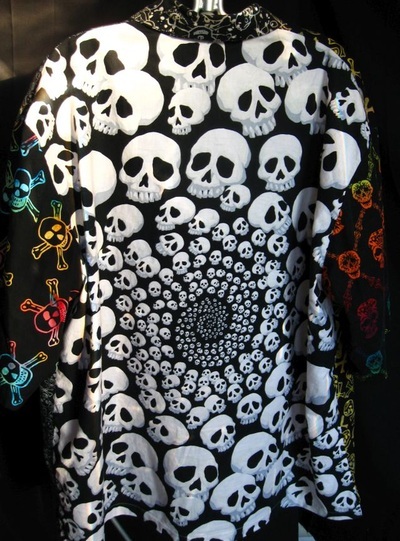 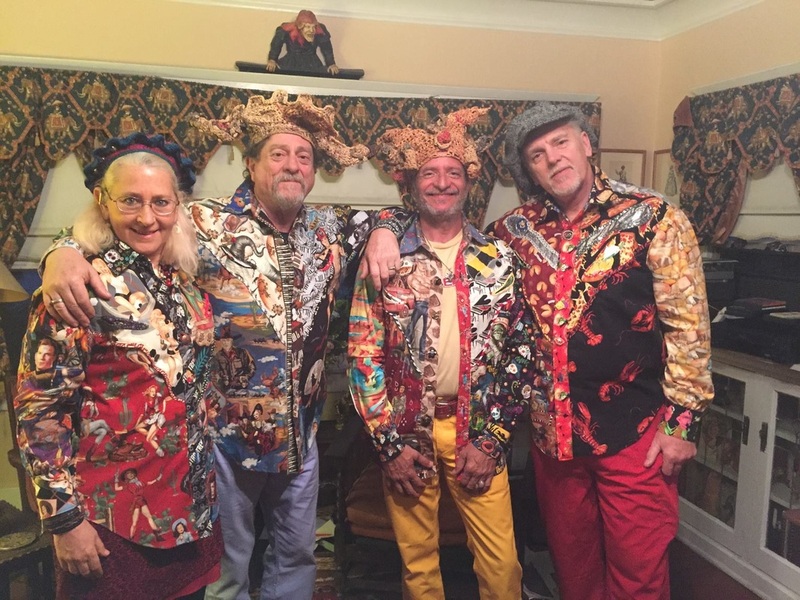 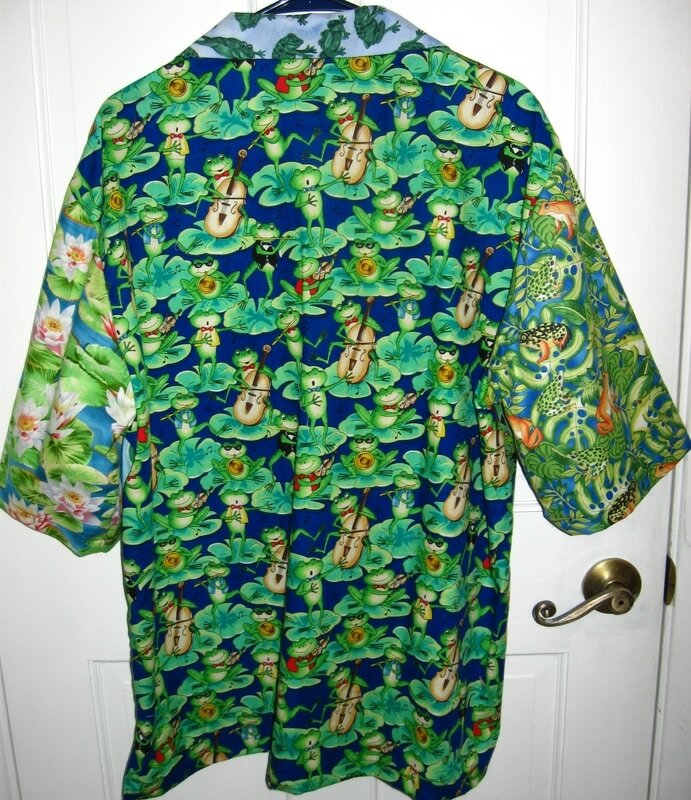 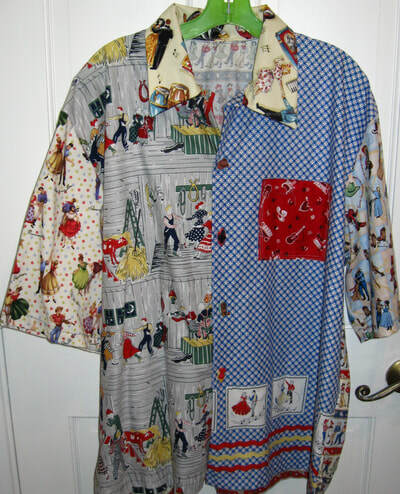 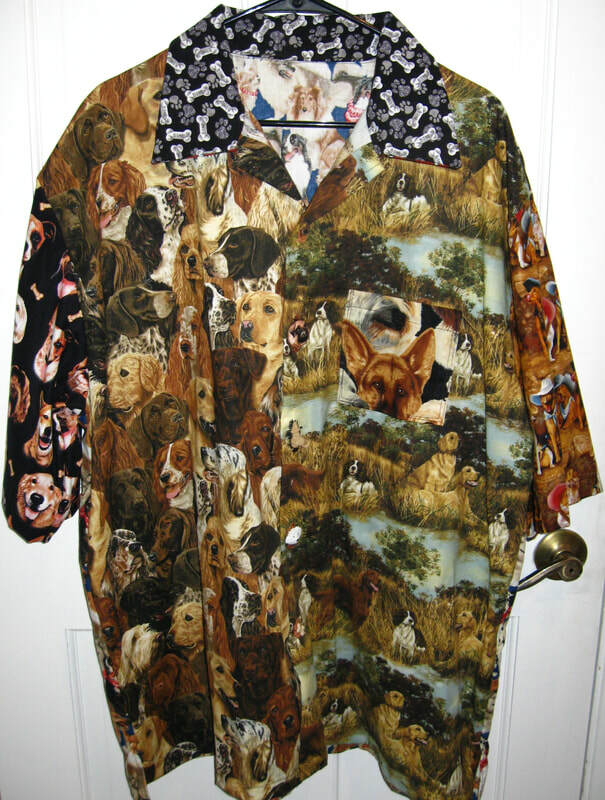 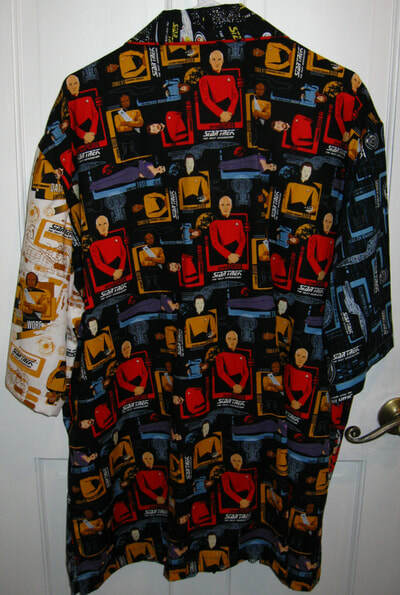 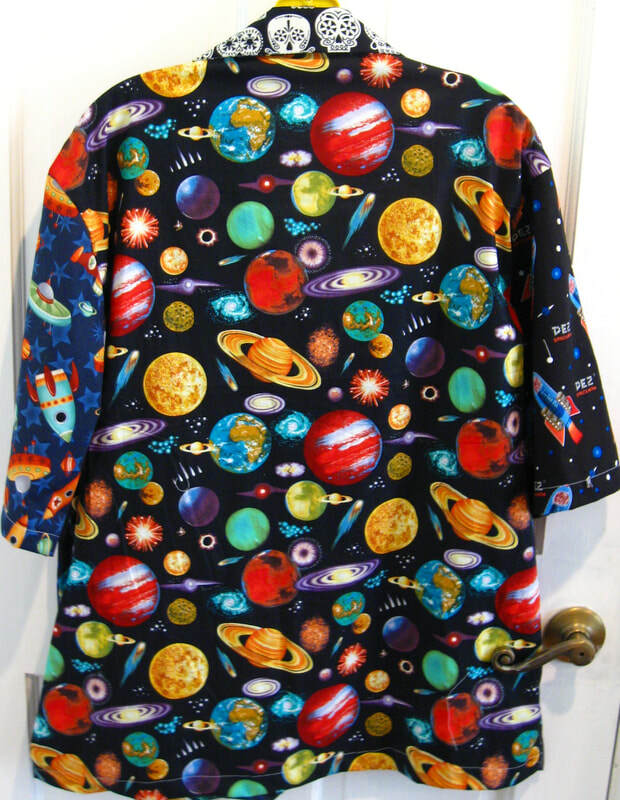 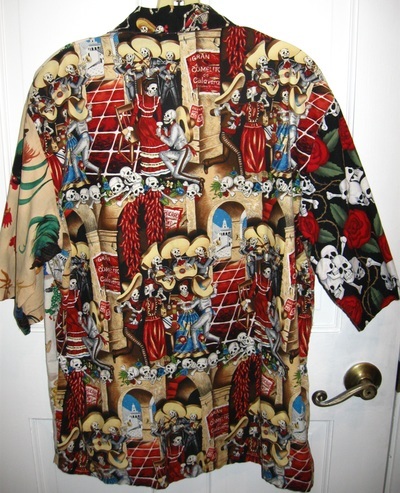 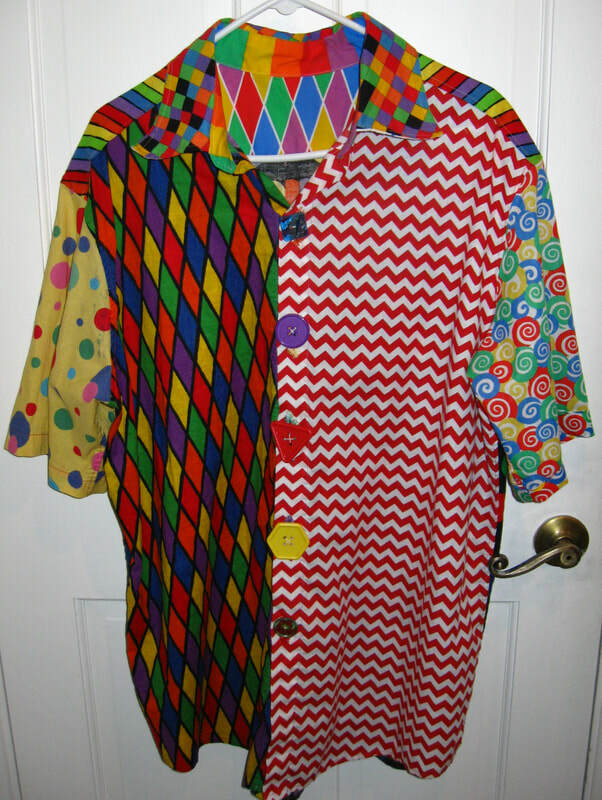 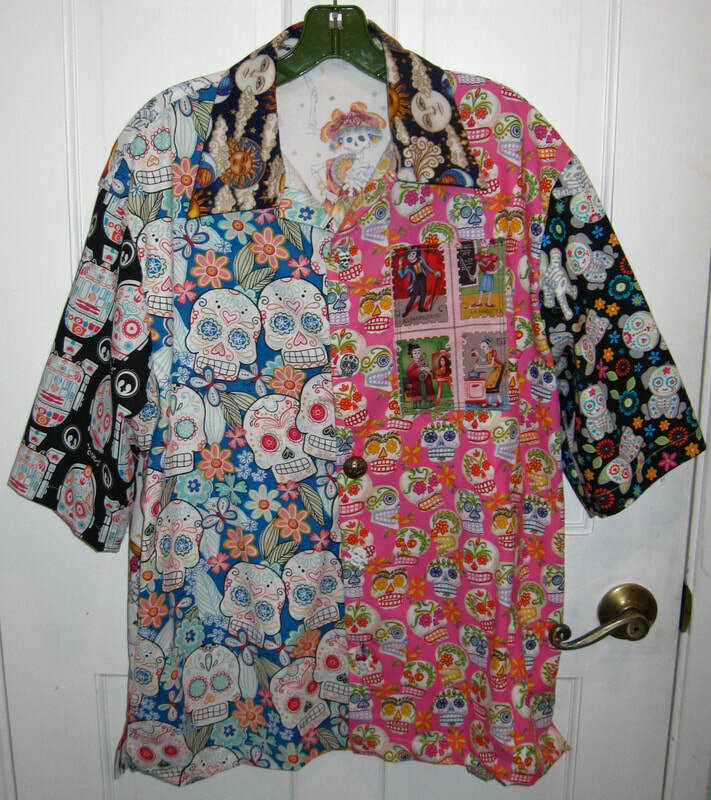 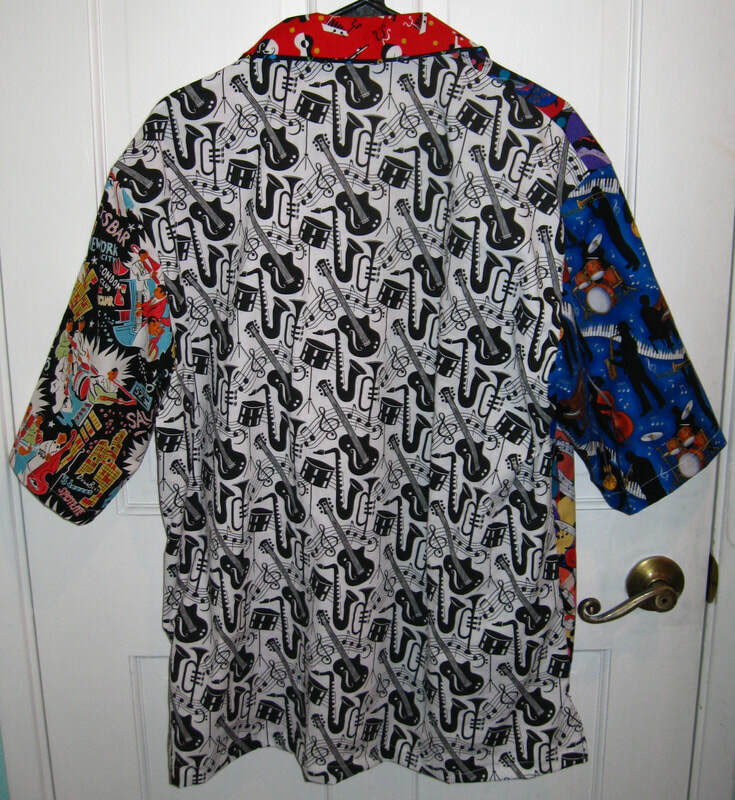 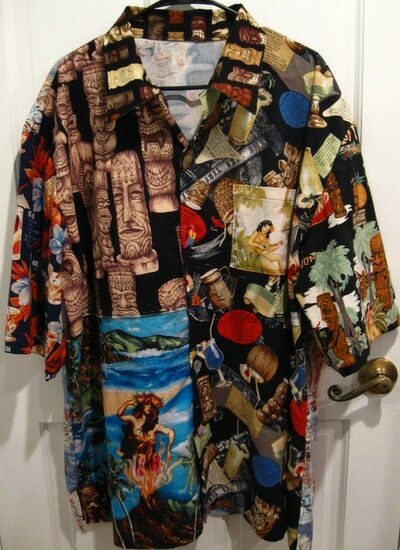 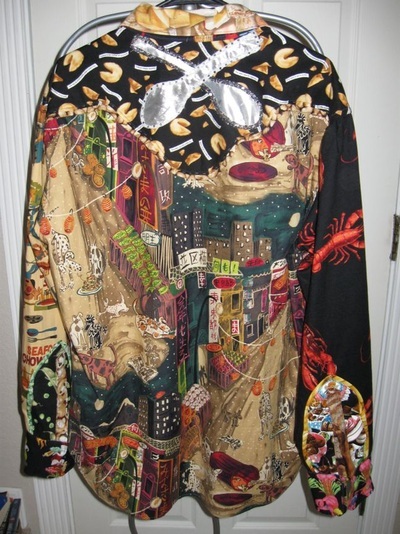 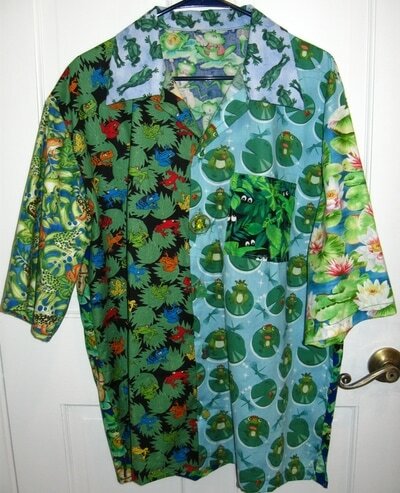 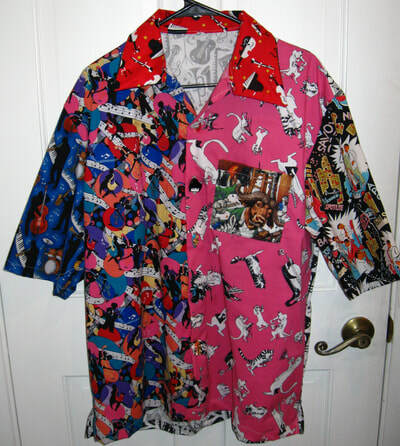 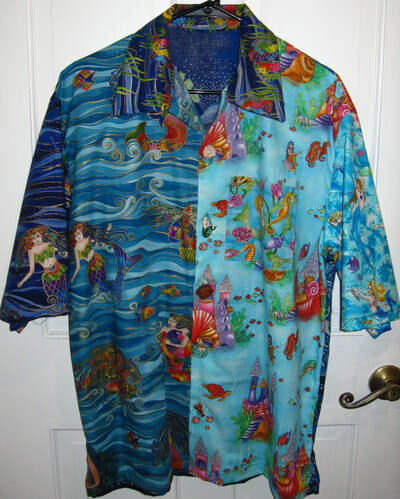 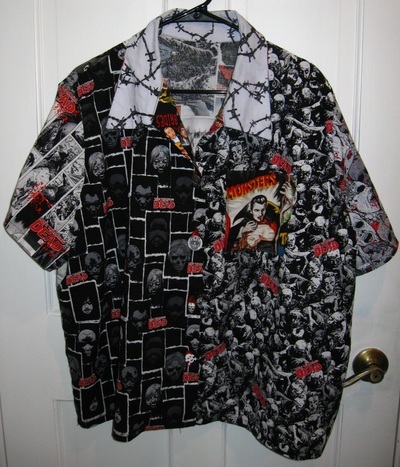 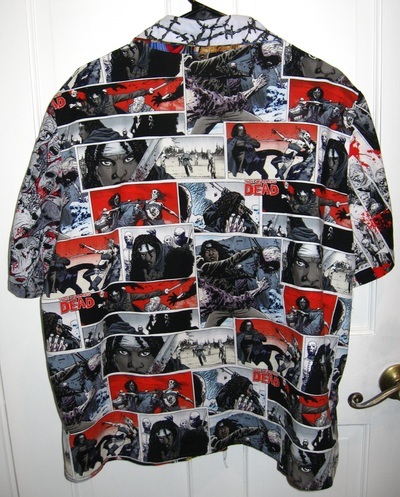 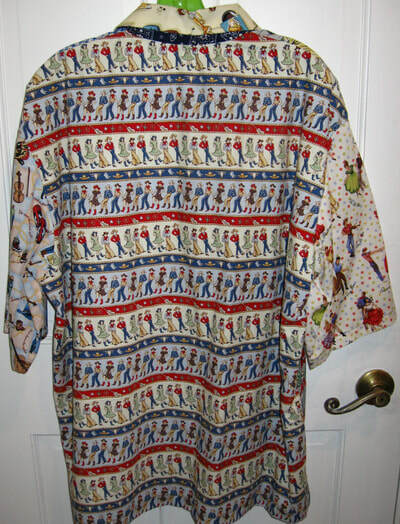 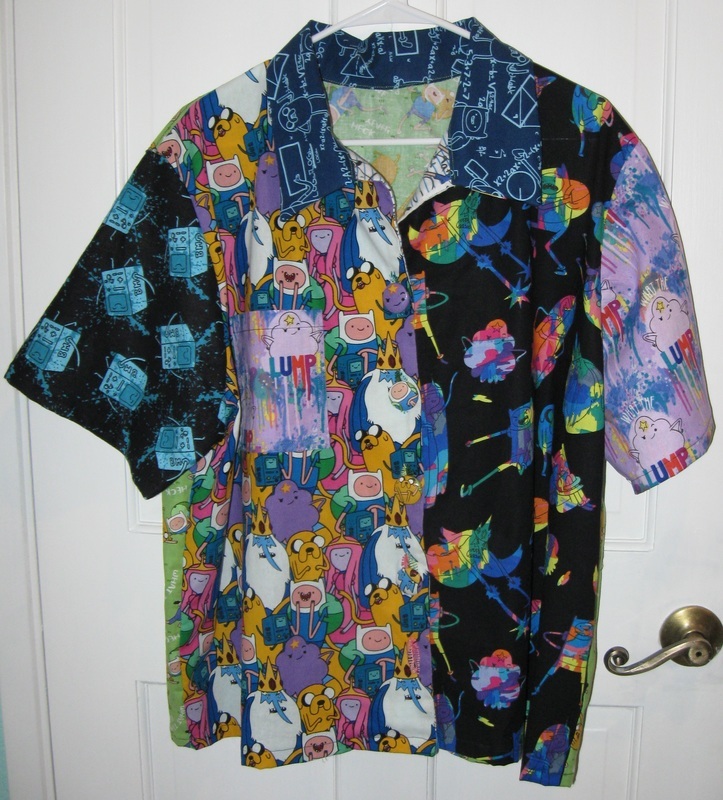 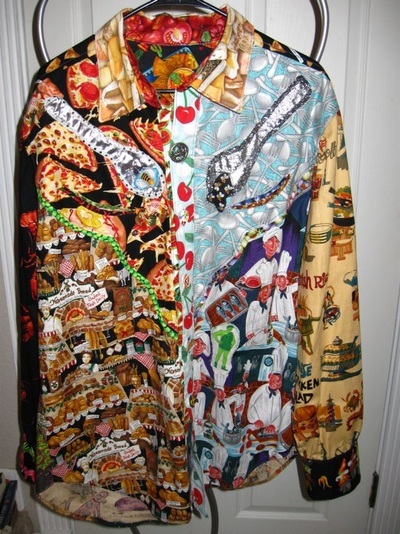 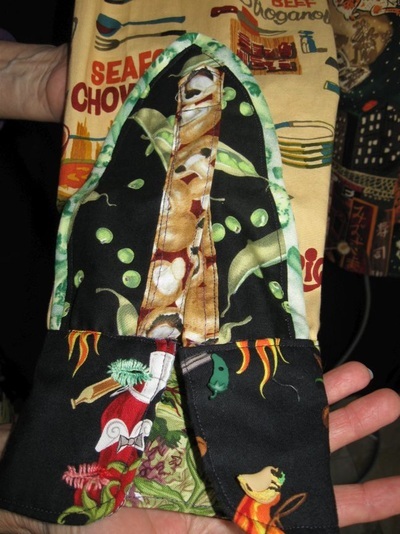 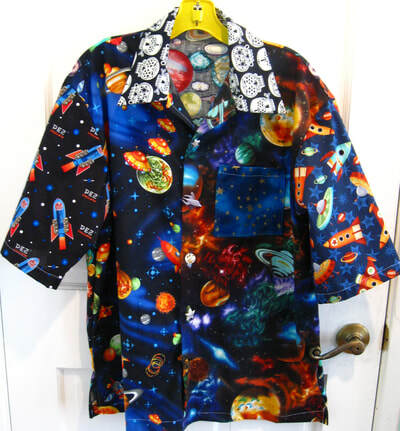 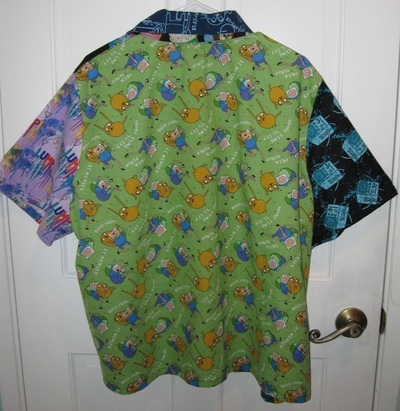 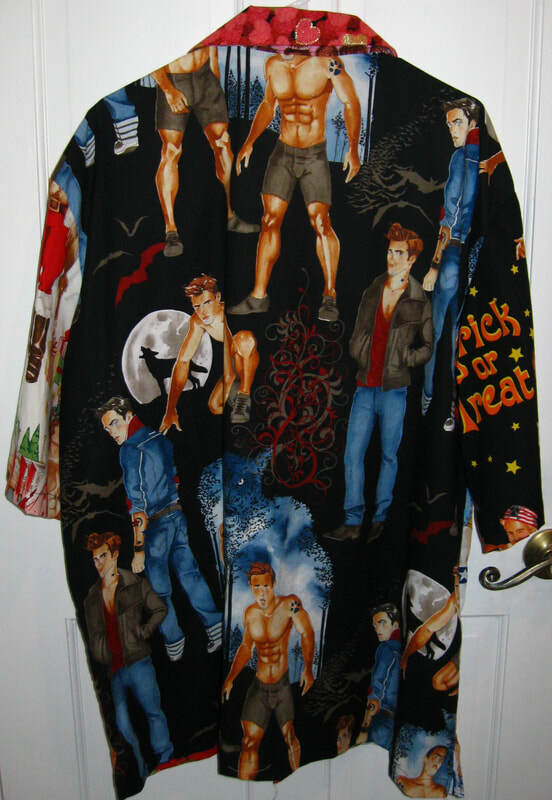 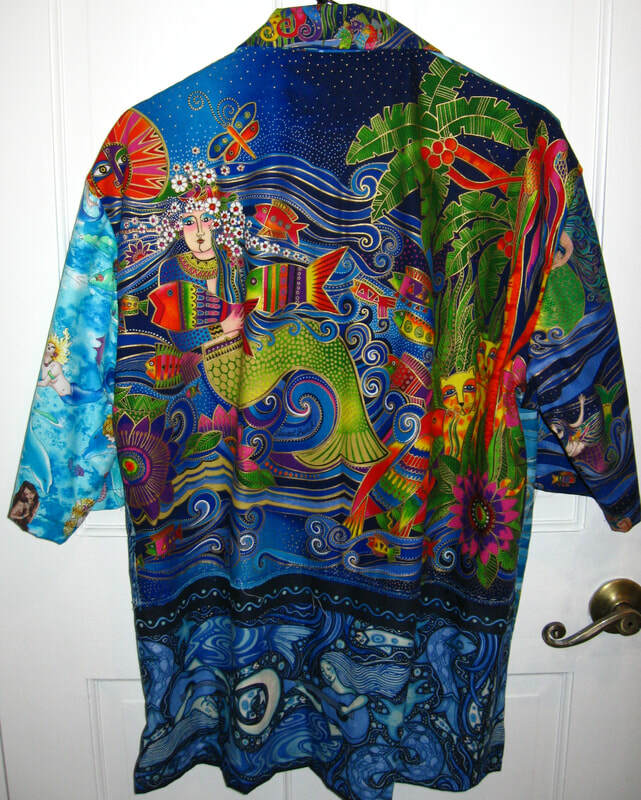 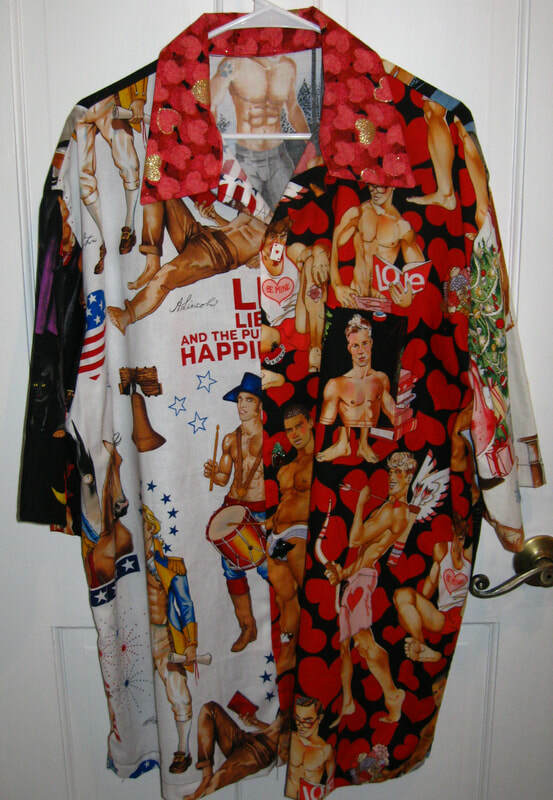 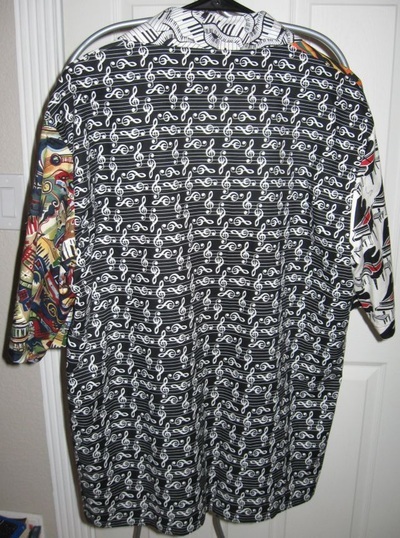 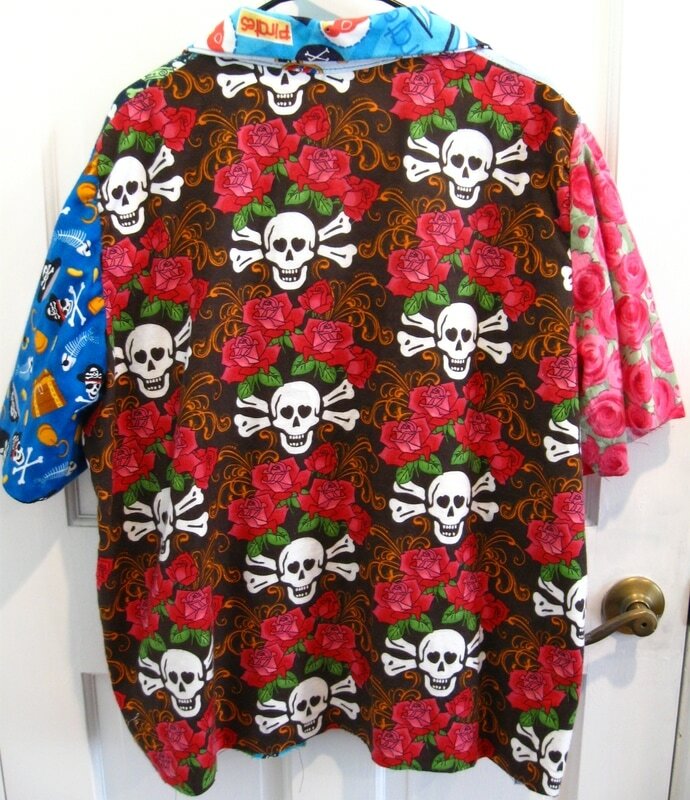 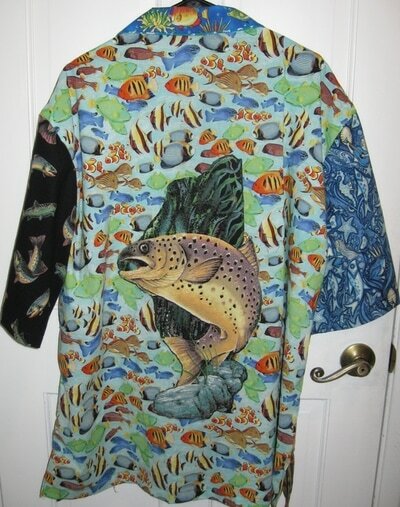 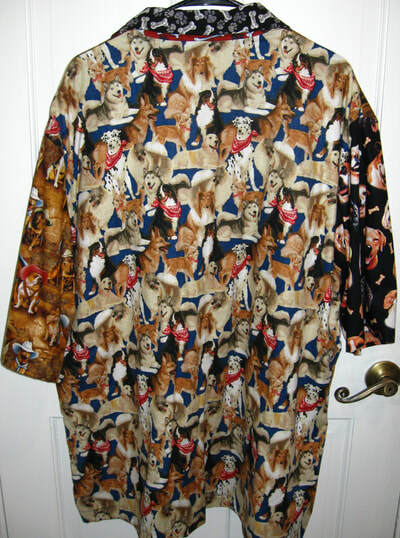 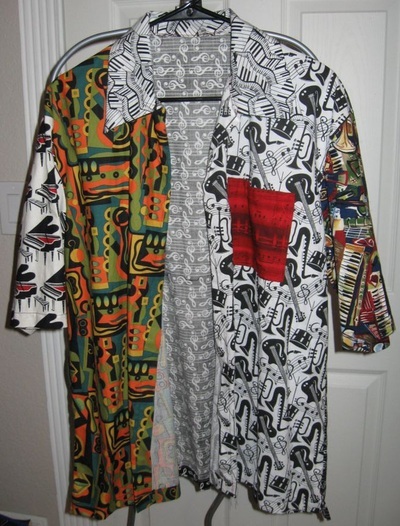 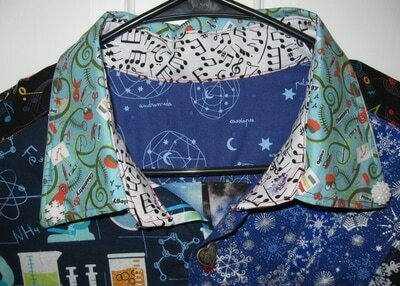 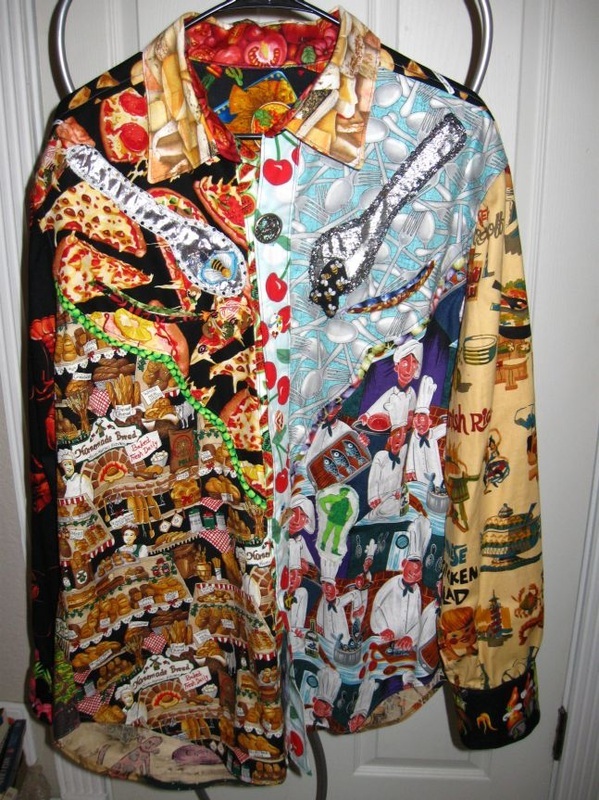 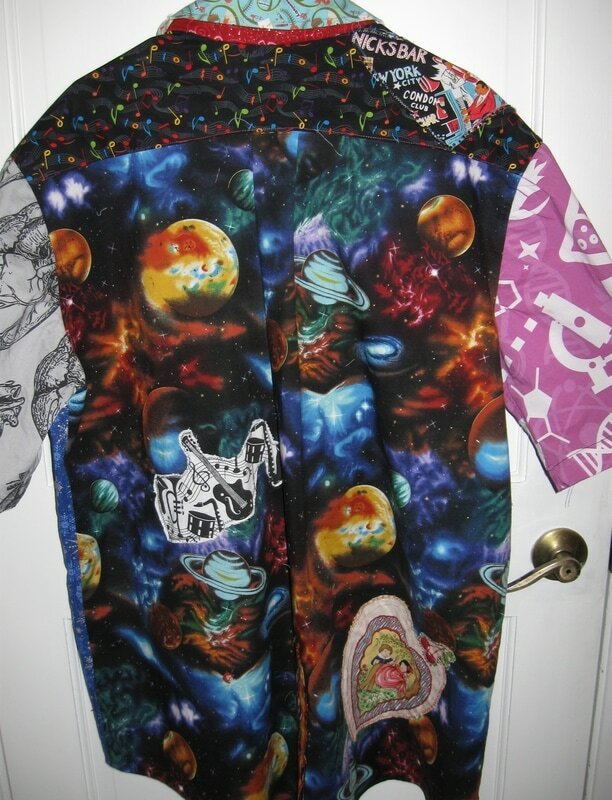 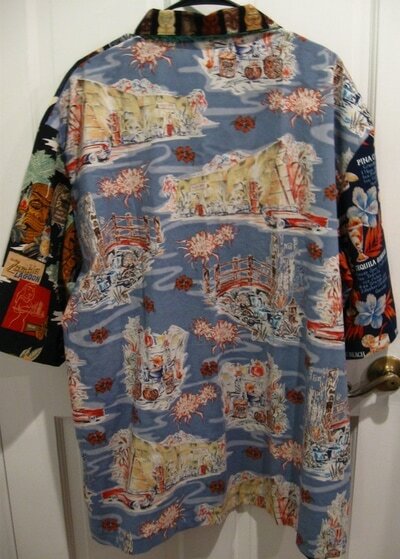 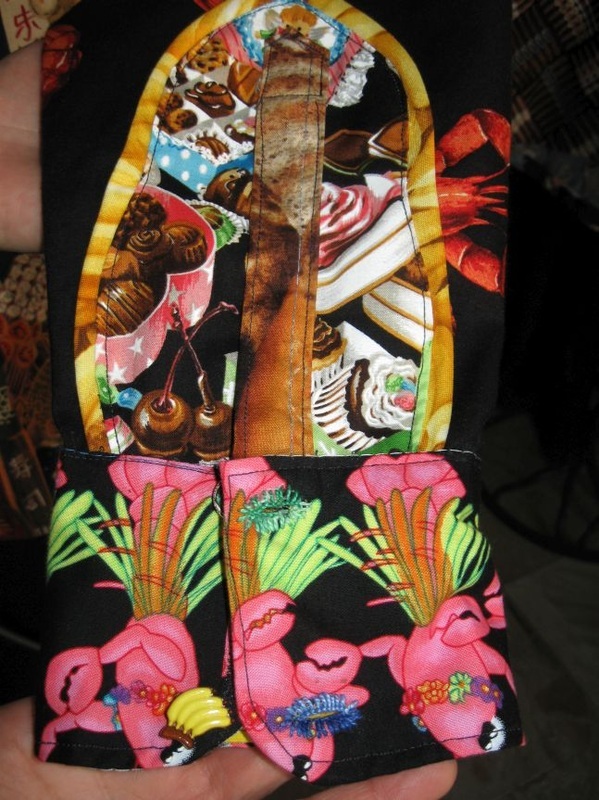 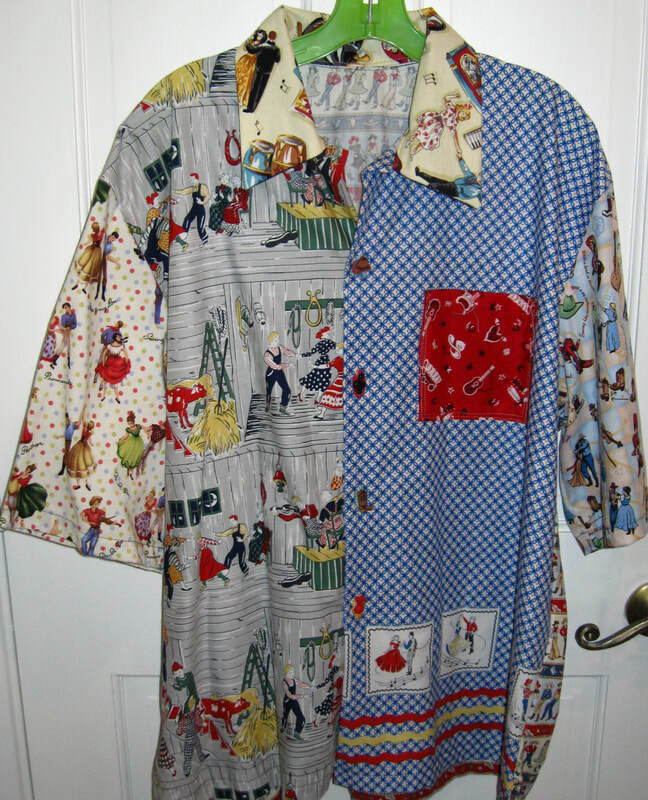 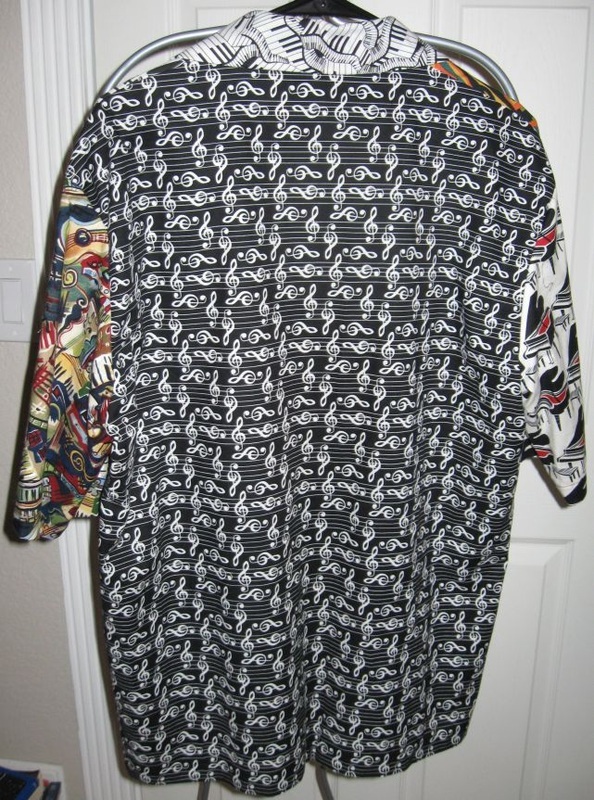 The cowboy shirt pictured below may seem weirdly random, but it was a special order. 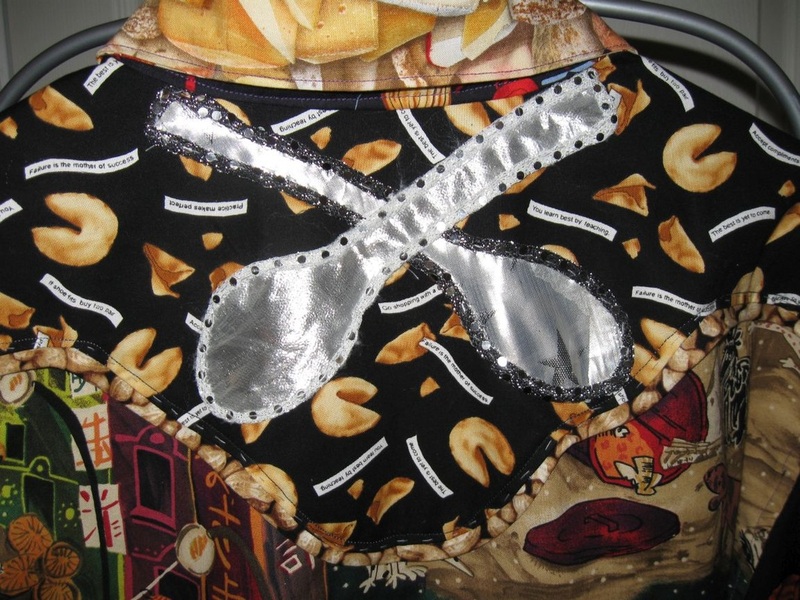 The themes requested: food, spoons and bees. 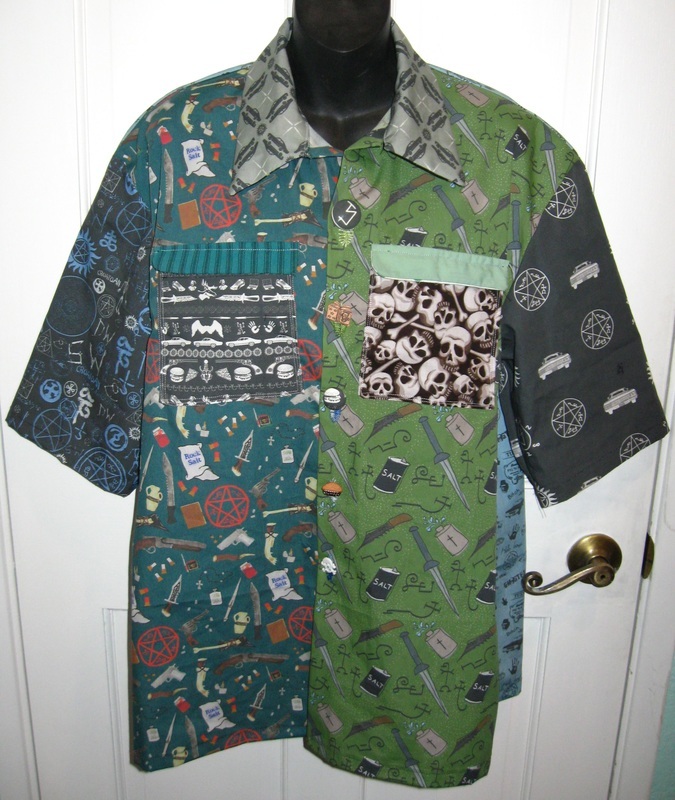 That's how most of Buffalo's handmade shirts come about: somebody has a favorite thing and Buffalo renders it in shirt form. The Día de los Muertos shirt is mine. 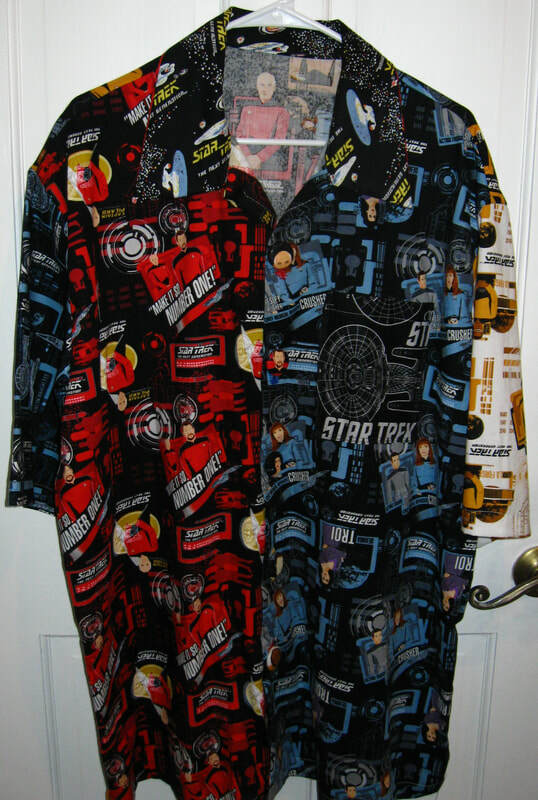 So are the Adventure Time and Walking Dead shirts. 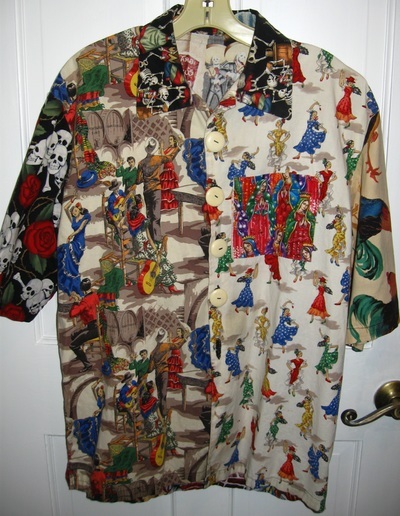 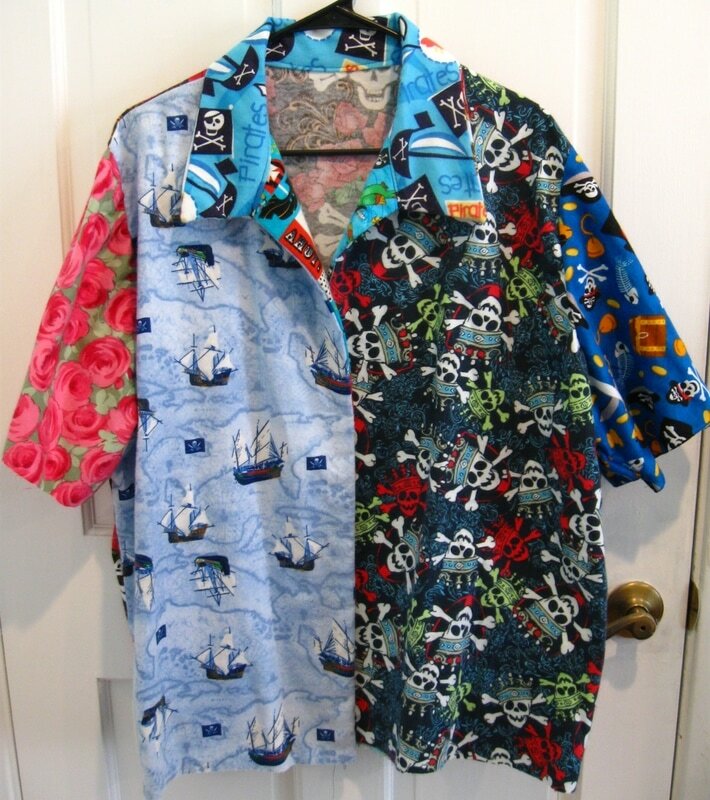 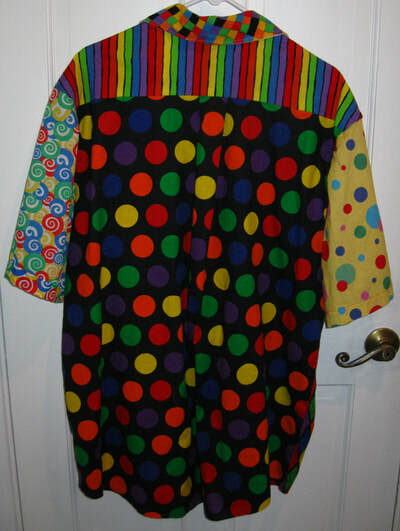 Buffalo shirts always feature a variety of fun novelty buttons. 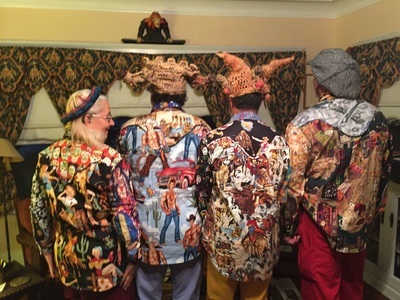 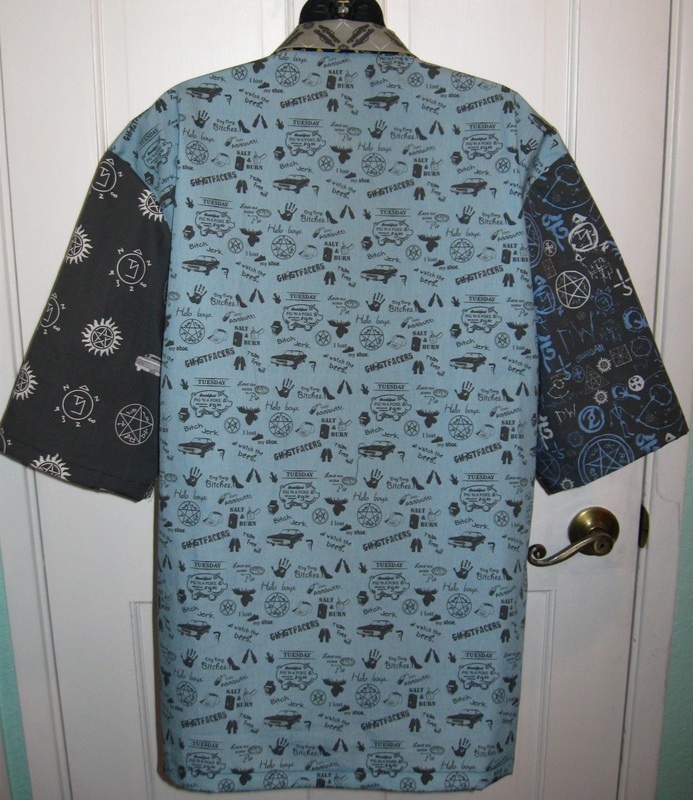 Cowboy shirts based on Folkwear® Five Frontier Shirts pattern #212. Note: any copyrighted images belong to their respective copyright owners.